keelin Shaughnessy reviews the latest season of Game of thrones and looks ahead to the future of the series. 26 years after George R. R. Martin began his epic saga, fans of A Song of Ice & Fire are within touching distance of seeing the characters the know and love, and hate, come full circle. David Benioff and D.B. Weiss, who have done an incredible job in translating Martin’s novels to television, have been tasked with impossible: tying up the countless loose ends and character arcs from previous seasons, while still retaining the same level of nuance, character depth, and intrigue as earlier seasons, all based on a loose outline set forth by Martin. Couple this impractical feat with the decision to shorten the season’s run from ten episodes to seven, and we are left with a season unlike anything previous. At its best, season 7 thrills and entertains its viewers with action-packed, visually-stunning sequences. At its worst, it unfolds as a rushed ticking of boxes, relying on spectacle and fan service in an attempt to distract from poor pacing, plot-holes, and a lack of complex narrative. By the end of season 5, Game of Thrones had outpaced Martin’s A Song of Ice & Fire, and season 6 marked Benioff and Weiss’s first major departure from the books. This deviation was well-timed. Many Game of Thrones fans had become weary of the insitantly the grim nature of the 5th season, and the redemptive victories offered in season 6 - Jon Snow’s rebirth, Daenerys’s burning down of the Temple of the Dosh Khaleen and alliance with Yara Greyjoy, a Stark victory in the Battle of the Bastards, the death of Ramsay Bolton and Walder Frey, and Jon and Sansa’s reunion – were gratifying if not long overdue. Season 7 follows a similar trajectory and offers its viewers some of the most captivating sequences on television this year. The Loot Train Attack in “Spoils of War” for example, which pits Daenerys, Drogon, and the Dothraki against the Lannister army, ranks among the most epic scenes in Game of Thrones history in terms of spectacle. But many of the scenes in season 7 felt awkward or contrived, while the acting and visuals remained top tier, the writing often fell flat or tested the limits of viewers’ suspension of disbelief through major plotholes, off-putting cameos, or time-defying methods of travel. Events in Winterfell seemed drawn out, giving screen time to the Starks without accomplishing much in terms of plot. The dramatically ironic setup of the Stark-Baelish game of wits felt lazy, and by the time Arya killed Littlefinger in the season finale, his character had already become so weakened that his death felt underwhelming. The quest north of the Wall to capture a wight, while compelling to watch, made virtually no sense in the context of the plot, it was simply a way for the Night King to get a dragon and in turn breach the Wall. Gendry was brought back after 3 seasons - with a cringe-worthy nod to his internet meme fame - and dumped a mere two episodes later. It’s surprising how much screen time the writers are willing to waste on negligible scenes when they are already struggling to fit everything in. Game of Thrones has subjected its viewers to some truly unpalatable scenes over the years - seeing Oberyn Martell’s skull crushed, Theon Greyjoy’s manhood hacked off, and countless characters who gurgle on their own blood after their throats are slashed - but nothing has been quite as grotesque or unwatchable as Ed Sheeran’s brief cameo in the season premiere. Still, considering these missteps, season 7 remained riveting, well-shot, and well-acted. While it’s hard to shake the feeling that the writers have begun to prioritise battles and dragons over people, Benioff and Weiss have continued to deliver on the latter. And when they take the time to write meaningful, powerful dialogue, these scenes stand equally as strong as the battle sequences. One of the most well-written and well-delivered monologues of the season is Cersei’s brutal revenge on Ellaria Sand, forcing Ellaria to watch in horror as her daughter’s body slowly rots. 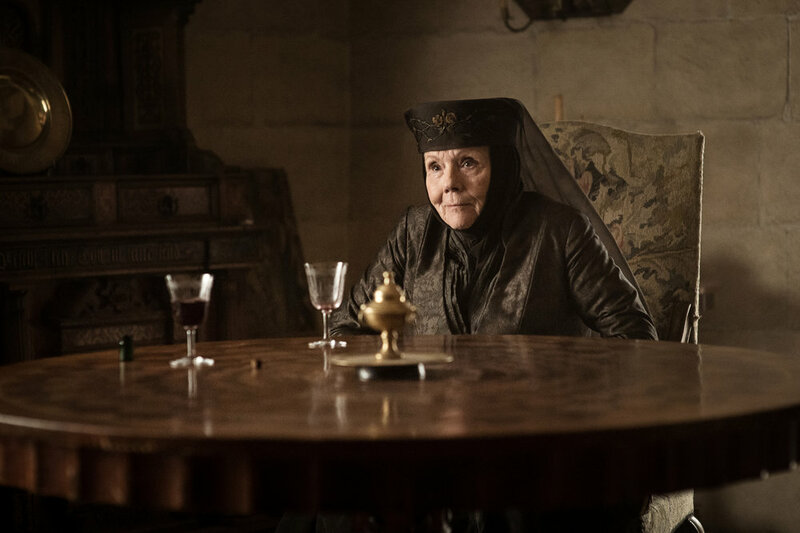 Arya’s mass murder of the men of House Frey is equally thrilling to watch, as is Lady Olenna and Jaime’s interactions after the siege of High Garden. Season 7, though rushed and misguided at times, has been a thrilling and brilliant series of episodes. Hopefully it will serve as a strong foundation for Game of Thrones’ final season.